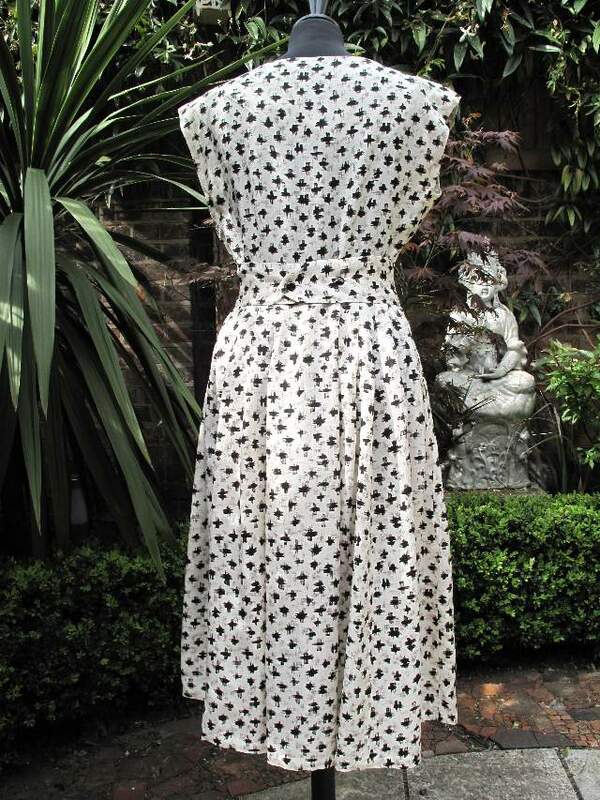 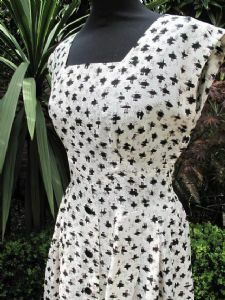 1950's Black and white crosshatch print tricel vintage dress. 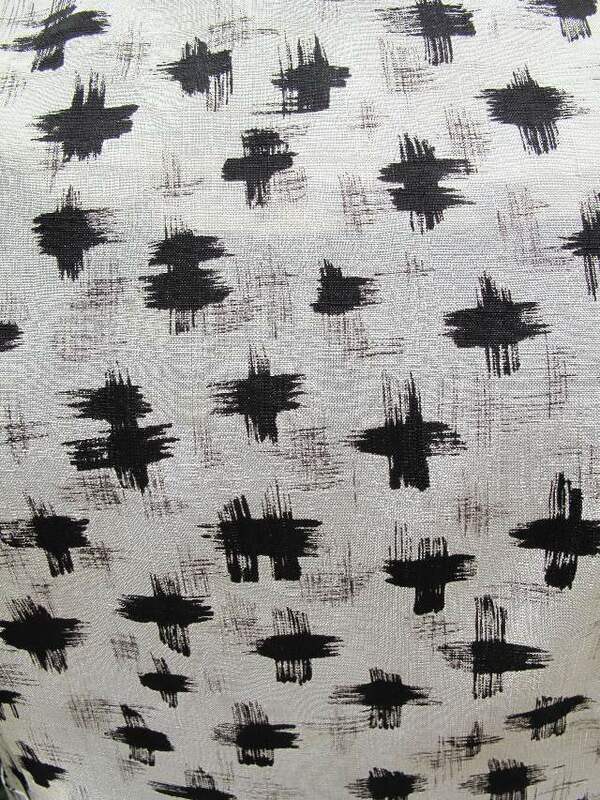 The dress is crisp white Tricel with a fine linear crosshatch jaquard, that is over printed with a brushstroke effect black cross/check design. 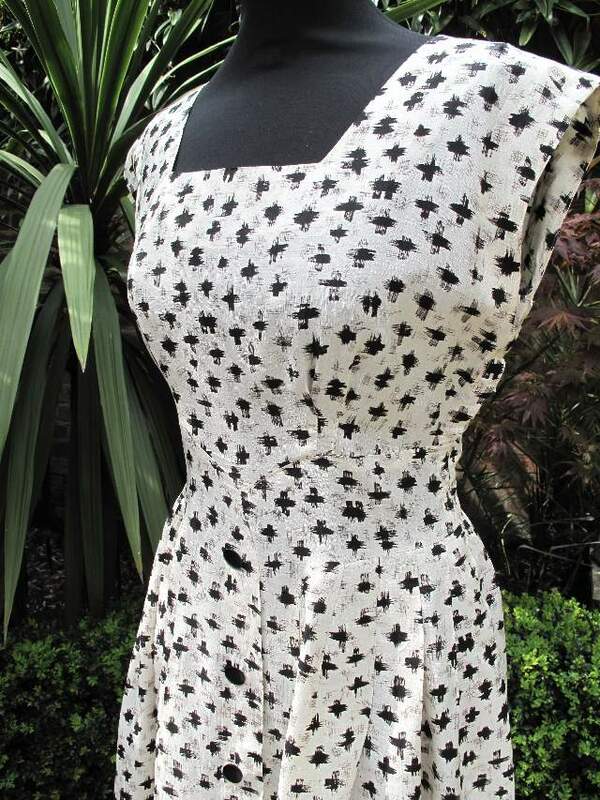 It is sleeveless with square neckline and curved seam waist /front detail, with shiny black buttons down the front. 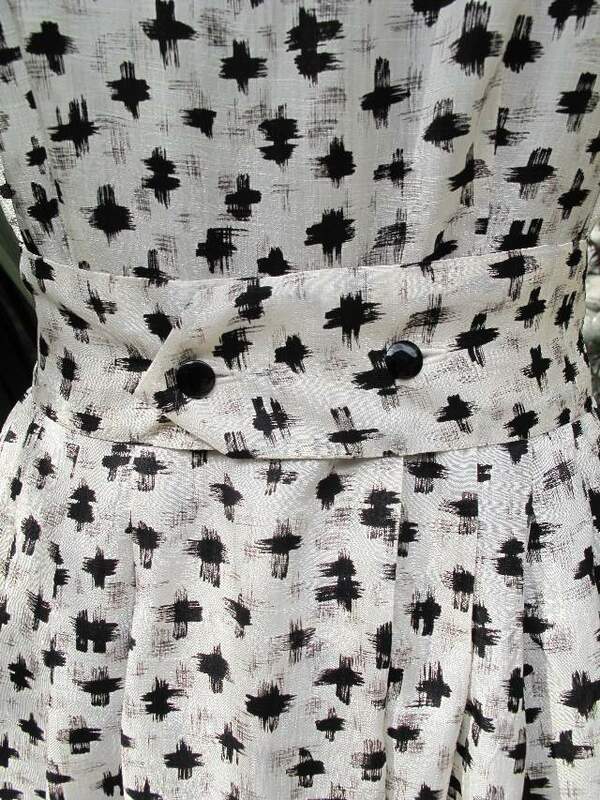 The skirt is very full and knife pleated and has a back buttoning belt, with black buttons. 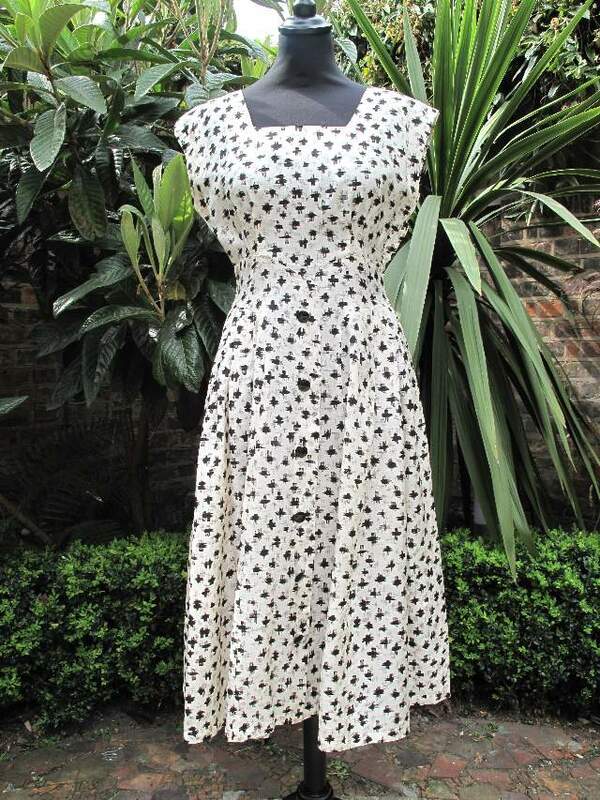 Excellent condition, perfect for a summer wedding.